Dramatic tenor Issachah Savage is garnering acclaim as a "heldentenor par excellence" with "trumpet-like, clear, open-throated, powerful" singing (San Francisco Examiner). Praised for his "impressive natural instrument" (Opera News), Mr. Savage is the winner of the 2014 Seattle International Wagner Competition earning the main prize, audience favorite prize, orchestra favorite prize, and a special honor by Speight Jenkins. Mr. Savage makes his Metropolitan Opera debut as Don Riccardo in Verdi's Ernani under James Levine and covers Siegmund in Die Walküre at the Canadian Opera Company in the 2014 – 2015 season. He will debut with the Orchestre National de Bordeaux-Aquitaine under Paul Daniel in Beethoven's Symphony No. 9, Santa Fe Symphony in Verdi's Messa da Requiem, and with the Seattle Youth Symphony in Mahler's Das Lied von der Erde. In the summer of 2014, he was heard in concert as Radames in Act 2 of Aida with the Boston Symphony Orchestra at Tanglewood under Jacques Lacombe in his debut. 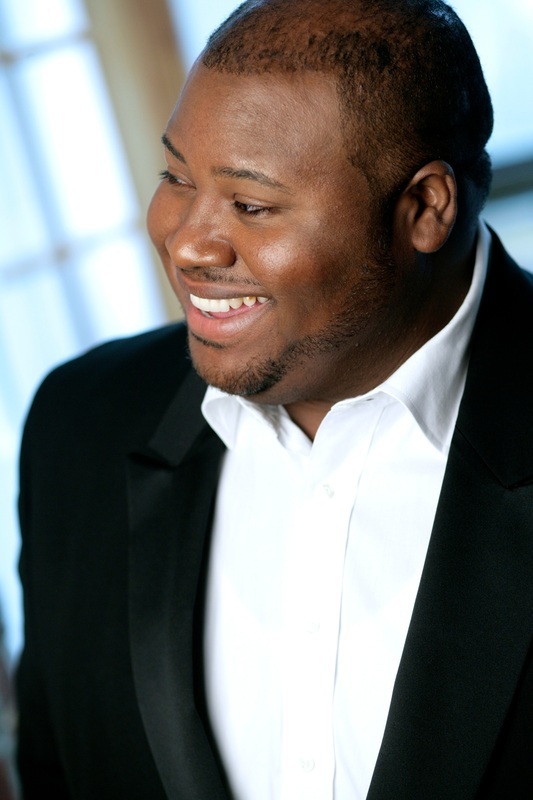 In the 2013 – 2014, season, Issachah Savage made his Houston Grand Opera debut as Radames in Aida opposite Liudmyla Monastyrksa and Dolora Zajick, for which Opera Warhorses declared, "The performances of Monastyrska and Savage were brilliant examples that Verdian voices continue to be produced." He was also seen in concert with the Washington Chorus at the Kennedy Center singing Act 2 of Verdi's Aida. In the summer of 2013, Mr. Savage participated in San Francisco Opera's Merola Program for gifted young singers singing the finale to Wagner's Lohengrin at the Merola Grand Finale concert. Writing of his performances of the last act of Otello in the Schwabacher Summer Concert series, the San Francisco Chronicle stated, "From his opening notes - impeccably shaded and coiled with repressed fury - to the opera's final explosion of grief and shame, Savage sang with a combination of power and finesse that is rare to observe." Recent performances for the dramatic tenor include the world premiere of Wynton Marsalis's All Rise with Kurt Masur and the New York Philharmonic, the world premiere of Leslie Savoy Burr's Egypt's Night with Philadelphia's Opera North, with Marin Alsop and the Baltimore Symphony in Gershwin's Blue Monday, and with the Opera Orchestra of New York alongside Elina Garanca in Massenet's La Navarraise. He also made his role debut as Radames in Aida at North Carolina Opera. With a sound that shines in Verdi and Wagner, Mr. Savage has participated in a number of programs designed for young artists with powerful voices including Evelyn Lear and Thomas Stewart Emerging Singers Program, Dolora Zajick's Institute for Young Dramatic Voices where he performed scenes from Otello and ACMA's Wagner Theater program where he performed scenes from Die Walküre, Parsifal and Samson et Dalila. Acclaimed for a voice with both dramatic and lyrical qualities, Mr. Savage excels on the concert stage and has performed with many notable conductors and ensembles. In addition to those mentioned above, he has performed Verdi's Messa da Requiem with the Flint Symphony Orchestra, Beethoven's Symphony No. 9 and Rossini's Petite Messe Solennelle with the New Dominion Chorale, Mendelsohn's Elijah with One Voice Chorale and Puccini's Messa di Gloria with Morgan State University. In addition to his 2012 grand prize with the Marcello Giordani International Competition, Issachah has received a number of prestigious awards, recognition and career grants from institutions such as Wagner Societies of New York, Washington, D. C., and Northern California, Licia Albanese International Puccini Foundation, Olga Forrai Foundation, Gerda Lissner Foundation, Jensen Vocal Competition, Opera Index, and Giulio Gari Foundation. The tenor's special talents were recognized early on by the Marian Anderson Society of Philadelphia, where he honored as its very first Scholar Artist and then again in 2009 as a prize winner in their Classical Icon competition. He has received two first places prizes in the esteemed Liederkranz Foundation competition, most recently in the 2012 Wagner Division and for General Opera in 2009. Born into a musical and religious family in the Philadelphia area, Issachah vividly remembers his first public performance – in church at age 5. A last minute decision to audition for CAPA secured him a place at the school and it was CAPA's choral director, David King, who first introduced him to opera through a recording of Jussi Björling singing "Ingemisco" from Verdi's Requiem. Mr. King went on to serve as an important mentor, encouraging the young artist to undertake rigorous vocal study and seriously consider a career as a professional singer. He possesses a Bachelor's Degree in Vocal Performance from Morgan State University and a Master's Degree in Opera Voice Performance from The Catholic University of America.